Pre-orders for Samsung’s newest smartwatch start in the US this Sunday. In the market for a new smartwatch? Samsung’s Gear S3 will be available Nov. 18, starting at $349.99. Pre-orders in the US start this Sunday. The watch will be available through retailers like Best Buy, Amazon, and Macy’s, as well as wireless providers and Samsung’s website. The timepiece features a rotating bezel and comes in two designs — the rugged Gear S3 Frontier and the sleek Gear S3 Classic. An LTE version of the Gear S3 Frontier will be available via AT&T, T-Mobile, and Verizon. 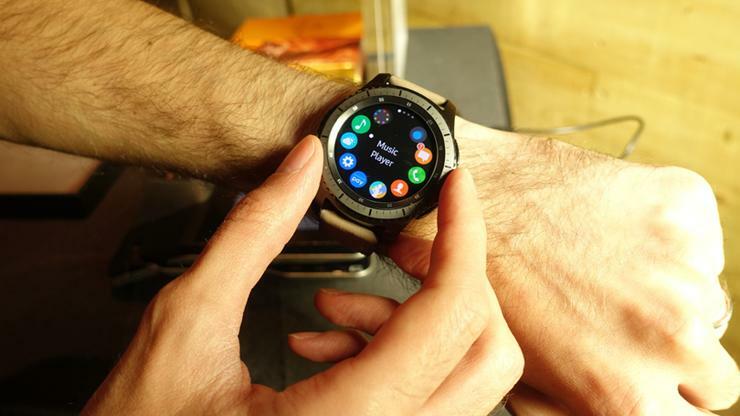 The Gear S3 is water- and dust-resistant, and offers “military-grade durability to protect against extreme temperatures, scratches and impact,” Samsung promised. You can, of course, also customize it to match your outfit or mood, thanks to thousands of watch faces and the ability to swap out the band for any 22mm offering. he watch features a built-in GPS, letting you monitor your fitness activities, share your location with friends, or use an SOS feature in the event of an emergency. You can use it with Samsung Pay to purchase items from your wrist “virtually anywhere you can tap or swipe a credit or debit card,” Samsung said. The LTE version lets you receive texts and alerts as well as listen to music, track fitness routes, and download apps even when your phone is stowed away. All models have a built-in speaker and microphone, so you can make and answer calls without reaching for your phone.